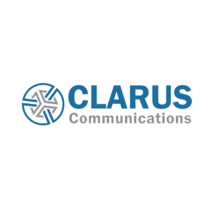 Clarus Communications builds long-term relationships with our clients by helping them make the best possible local phone service, IP Phone System, wireless carrier and cable provider decisions for their business. The telecommunications solutions we deliver will impact how they communicate and help to grow their business. Our commitment to excellence is honest and simple. It is based upon specialization, communicating with our clients to learn more about their business, connecting with their needs, and exceeding their expectations in the quality of our customer care and services we represent. Clarus Communications was established in January 2001 as Convergence Communications, a telecommunications provider agency. Clarus Communications was founded with the idea that businesses need a trusted telecommunications expert advisor. Over the years, our company grew a strong reputation as a reliable telecommunications provider agent resource for technical expertise, with a unique ability to negotiate the best telecommunications provider contracts for their customers. With deregulation, mergers and advancement of technology, businesses have many different telecommunication provider choices today to solve their problems. While the choice and change are positive, it continues to provide challenges to businesses ensuring they have made the best telecommunication provider choice. For over a decade, Clarus Communications is proud to have saved our clients hundreds of thousands of dollars in Telecom Service Providers and IP Telephony System expenses. Moreover, we know our clients business; we utilize cutting edge technologies which enable their companies to work more efficiently; and continue to add even more to their bottom lines each year.